As the manager of a traveling sports team, you have a lot of responsibilities. You have to make sure everyone shows up to practice, so they’re ready for the next game, and you also have to be sure everyone knows what time the plane or bus is leaving for an away game. The transportation details are often left to an assistant manager or traveling secretary, but no matter who handles the specifics, finding the most comfortable mode of transportation is very important. If you have a long flight, the last thing you want is to get into a cramped bus or van that doesn’t have enough space for everyone. At Ground Travel Specialist (GTS) in Michigan, we have spacious and comfortable charter buses that will let your athletes ride in style. One of the most important times you will need reliable and comfortable transportation is from the team hotel to the stadium or arena where you will be playing. Our drivers will be on time and ready to go, and it doesn’t matter if you’ve booked our 57-passenger deluxe motorcoach or our 29-passenger deluxe mid-size bus, you’ll enjoy the same comforts and amenities in each vehicle. Your team needs to mentally prepare for the game ahead, and we’ll provide a safe and smooth ride the entire way. We can also provide transportation back to the hotel after the game, and our night-time mood lighting and comfortable seats will allow your team to rest and relax following competition. 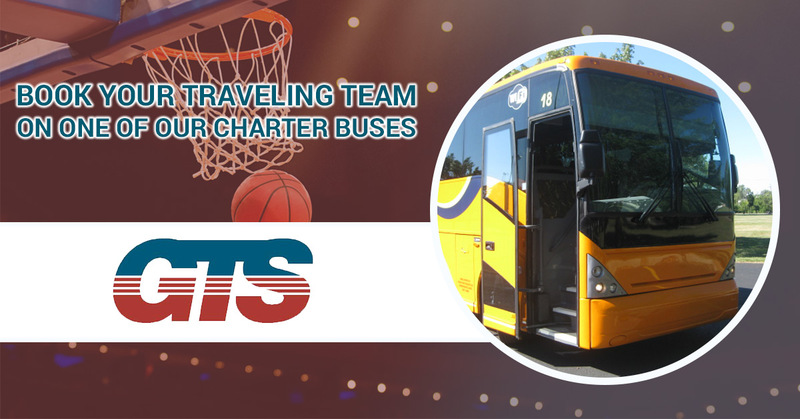 When you need a charter bus rental for your traveling sports team, contact GTS for exceptional service!